Writing in the journal Science, the researchers concluding that populations of more than 500 species or amphibians have declined significantly because of the outbreak – including at least 90 species presumed to have gone extinct. The figure is more than twice as large as earlier estimates. "That's fairly seismic," said Wendy Palen, a biologist at Simon Fraser University who is a co-author of a commentary accompanying the study. "It now earns the moniker of the most deadly pathogen known to science." Scientists first noticed in the 1970s that some frog populations were declining quickly; by the 1980s, some species appeared to be extinct . The losses were puzzling, because the frogs were living in pristine habitats, unharmed by pollution or deforestation. In the late 1990s, researchers discovered that frogs in both Australia and Panama were infected with a deadly fungus, which they named Batrachochytrium dendrobatidis – Bd, for short. The fungus turned up in other countries, but studies of its DNA suggest that Bd originated on the Korean Peninsula. In Asia, amphibians seem impervious to Bd, but when it got to other parts of the world – probably via the international trade in pet amphibians – the pathogen reached hundreds of vulnerable species. Amphibians are infected with Bd by contact with other animals or by spores floating in the water. The fungus invades skin cells and multiples. An infected frog's skin will start to peel away as the animal grows sluggish. Before it dies, a frog may manage to hop its way to a new stream or pound, spreading the fungus further. In 2007, researchers speculated that Bd might be responsible for all known declines of frogs that had no other apparent cause – about 200 species. For the most part, however, scientists studied Bd at the local level, looking at its impact on particular species in particular places. "We knew that frogs were dying all around the world, but no one had gone back to the start and actually assessed what the impact was, ”said Benjamin Scheele, an ecologist at Australian National University and the lead author of the new study. In 2015, Dr. Scheele and his colleagues gathered data from over 1,000 published papers on Bd, and traveled around the world to meet with experts and their unpublished observations. The new study showed that some amphibians are at greater risk than others. The fungus thrives in cool, moist conditions. As a result, frogs that live in cloud forests on mountainsides have been hit particularly hard. The decimation of frogs peaked in the 1980s, the researchers found, a decade before the discovery of Bd. Today, 39 percent of the species that suffered population declines in the past are still declining. Twelve percent are showing signs of recovery, possibly because natural selection is favorably resistant animals. Scheele is guardedly optimistic about future wildlife outbreaks. The element of surprise may have had a lot to do with Bd's devastating success. In 2013, researchers discovered that a related fungus was attacking fire salamanders in Belgium. Called Batrachochytrium salamandrivorans (Bsal for short), it seemed poised to do to salamanders what Bd has done to frogs. But this time, things are playing out differently. Researchers discovered the outbreak and identified Bsal quickly. They immediately started running experiments to understand the threat it posed. Thanks to barriers to trade now in place, Bsal has yet to threaten another species anywhere. "We've learned, and we're dealing with it better," said Dr. Scheele. "I guess the question is always," Are we doing enough? And that's debatable. " 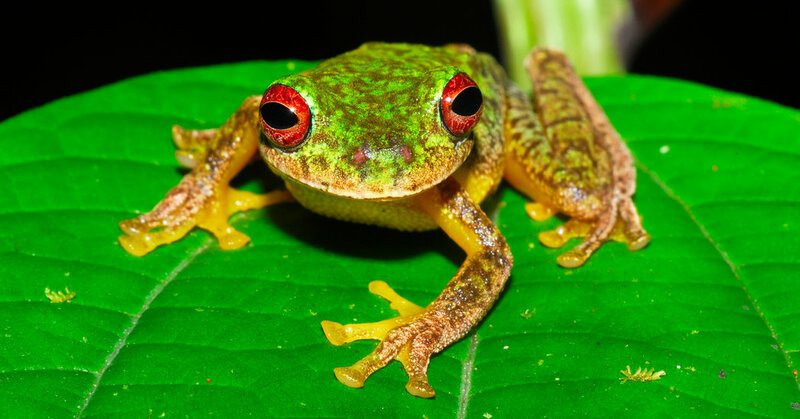 If a Bd-infected frog got to either place – through the pet trade, or as an accidental stowaway – the fungus would have A fixed number of vulnerable hosts to attack. "It could be a meltdown of the ecosystems over there," said Daniel Greenberg, a graduate student at Simon Fraser University and author of the Science commentary. The loss of frogs can alter entire ecosystems. Without tadpoles to guzzle algae, blooms may choke streams. Without frogs to eat insects, some disease-carrying species may become more common. Birds and other predators that eat frogs have to find alternatives. Scientists are not even able to rest about the species that have emerged intact from the Bd assault. Another strain of Bd, or some different species of altogether fungus, may prove to be even deadlier. "It's just Russian roulette, with moving pathogens around the world," said Dr. Scheele.